I often think about this when the rain is lashing down outside or if I am having a particularly non-creative day when the brain refuses to kick into gear and I then start daydreaming at my desk. If I had one day's fishing left on this earth, what would I do ? Money no object, you can go where you want to fish for whatever species of fish you desire - would you go for something you have not experienced but dream about doing, or would you spend a day fishing somewhere you already know for a fish you already love ? How about a day chasing bonefish on the ultra-remote flats of the outer atolls of the Seychelles ? That huge blue sky stretches forever and the big hungry bonefish are chowing flies almost off your rod tip. It's hot, it's humid as hell, you are in the middle of nowhere and clipped to your side is a 12-weight that's ready to be unleashed on any GTs that come marauding by. Perfection ? What about watching as your floatfished live crab drifts back under a bridge in the Florida Keys as the sun just starts to glint over the horizon - and then the float suddenly disappears. Wind and strike like mad and suddenly over 150lbs of silvery tarpon leaps from the water in a great shower of warm tropical water. And because this is your last day's fishing of course you land the fish and it doesn't throw the hook, smash you on the bridge or even get munched by a shark !! 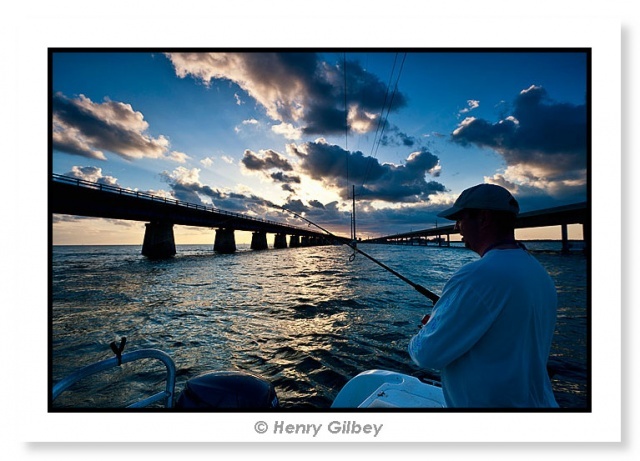 Or how about sight-fishing on the flats to a monster tarpon for one last fishing experience ? You could of course have the one day on a boat fishing for something mad like blue marlin, and on your last day of course you're going to get multiple hook-ups from gigantic fish. I've never done it and the idea of trolling does my head in to be completely honest, but of course the fish are loose on this one last day. How about it ? You could of course spend one last fishing day chasing steelhead amongst the sheer majesty that is British Columbia in Canada. How about goliath tigerfish in the DRC ? One last day I often dream about is hammering kob on my bass fishing lure gear in southern Angola. I have never been to New Zealand, but the idea of stalking huge wild browns in ridiculously clear water amongst Lord of the Rings type scenery floats my boat in a major way. That might well be a perfect last day's fishing if you ask me. Closer to home and how about a perfect day nailing those big Norwegian coalfish on spinning rods in shallow water ? Big cod are a giggle, but they don't hold a candle to the true sporting prowess of a big coalfish. What about a day's fly fishing for wild browns on one of the most perfect little rivers I have ever seen - the river Lyn in north Devon. Magic if you ask me. I have only just thought about this (honest), but you could of course read my new book here and get a few ideas. Give me some credit because that is one subtle/blatant plug !! (delete as applicable). I meanwhile am going to put two days down and then choose from one when my time comes to make this vital decision !! I honestly have to pinch myself at all the different kinds of fishing that I have seen around this awesome planet as a part of my work, but for my two (one) I am going to come closer to home. Choice one would be a tumbling surf at a certain spot in the Bannow estuary in south east Ireland. The sky is a deep blue and the white clouds are being pushed along by a fresh south westerly breeze. I am thigh deep in cold autumn water with an 11' light bait rod in my hands - and the bass are on big time. Almost every single time I trundle a crab bait down with a 3oz rolling lead it's getting nailed. I have had a few days like this at this spot and they live with me forever. How much better can fishing get ? Choice two would have to be lure fishing for bass at a particular spot along the southern Irish coastline. It's shallow, it's reefy, and it's got crocodiles living there, only this time when I hook them they decide to go the right way and not drag by braid across a lovely sharp rock. There is a slight lift on, the water clarity is perfect and the fish are galeforce on. Everything I throw at them is getting chowed - surface lures, ultra-shallow divers, weightless soft plastics, you name it the bass want them. The weather is perfect, I am in Ireland, I am bass fishing and I am loving every single second of the whole experience. I can't ask for much more than either of these days for my last day's fishing, but how about you ? And yes, I am daydreaming today !! Is lure fishing a possible future for fishing ? Noisy or silent surface lures ?